Whatever Happened To Wave Race? 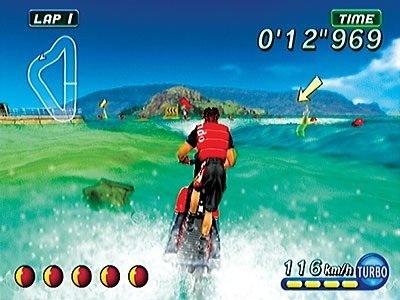 Nintendo's jet-ski series should get wet and wild on 3DS. Pop quiz: When did Wave Race make its debut? 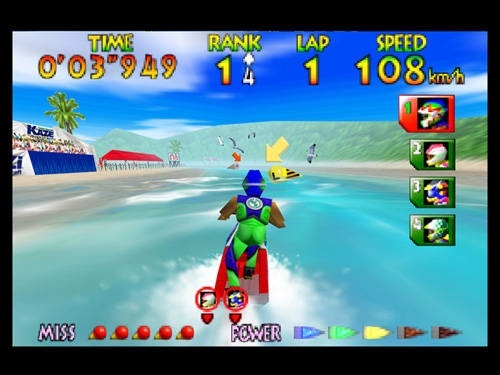 If you guessed the Nintendo 64 in 1996, you just lost the dream vacation to Hawaii, and it's perfectly all right, because we'd bet most video games fans think the franchise got its start with Wave Race 64. 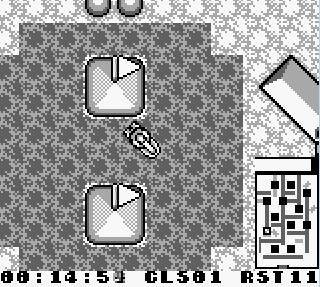 Turns out, and this may be somewhat of a shock, Wave Race first appeared on the original black and white Game Boy in 1992. That's right, the classic jet-ski series hit the scene long before the big N pioneered advancements in water physics, and man, was it boring. Obviously, the Game Boy wasn't capable of the big waves seen in the N64 and GameCube Wave Race titles. Instead, you viewed the action from a top down perspective and just sped around a handful of tracks. Game Boy Wave Race...does this look like fun to you? The game was well-received, despite the graphical limitations, enough that it earned a prestigious Player's Choice medal; that said, don't rule out seeing this game re-released on 3DS via the eShop. Thankfully, Nintendo realized it was on to something, and put considerable effort into Wave Race 64, which immediately became a hit, thanks to excellent (for the time) visuals, those aforementioned physics and enjoyable racing. Most gamers remember the superb Wave Race 64. Then the company delivered a GameCube sequel in 2001, and we haven't seen the franchise since. Wave Race joins F-Zero and 1080 Snowboarding as three intellectual properties in desperate need of a reboot. In Wave Race's case, 3DS seems like a good choice. First, it brings the franchise full circle by reappearing on a handheld system. Second, the casual friendly nature of the series makes it a perfect fit for a portable. Despite offering more of the same, Wave Race: Blue Storm was a fun GameCube launch title. There's also potential for local/online multiplayer, as well as StreetPass support, where players wirelessly exchange ghost data. What's more, after seeing the fantastic job Nintendo has done with The Legend of Zelda: Ocarina of Time 3D and Star Fox 64 3D, there's no doubt that 3DS could duplicate Wave Race 64's water physics, perhaps even better than Nintendo 64. Finally, this is a game that begs to be played in glasses free 3D. Nintendo could use the tech to add a newfound sense of depth while incorporating multiple tricks, like spraying water onto the screen. Bottom line, it's been ten years since we've had a Wave Race sequel and us fans deserve one. Don't make us wait for Wii U, Nintendo.